Neo Loudness, Other software dynamics processor from Sound Magic. Neo Loudness is a tool designed to control loudness. 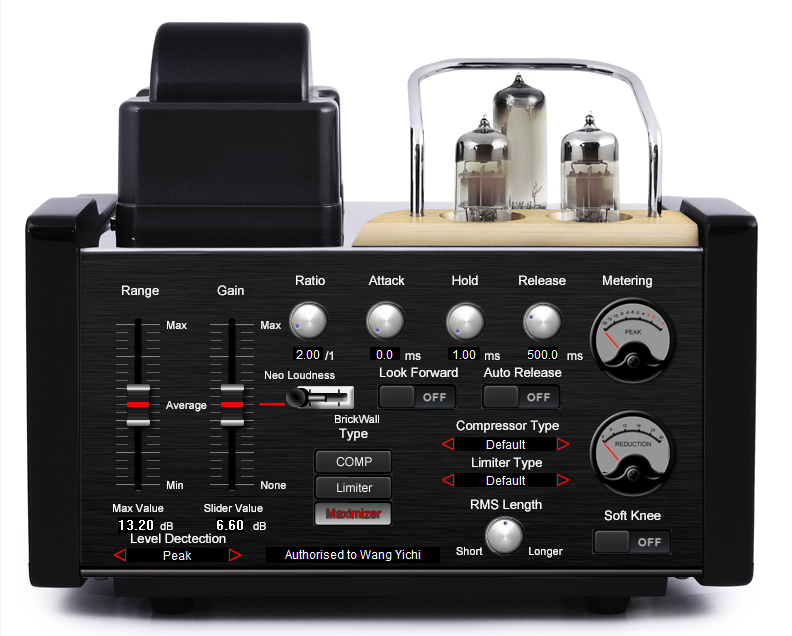 Neo Loudness includes traditional compressors and limiters, as well as a new type of Maximizer. It is also an all-purpose dynamic processor. 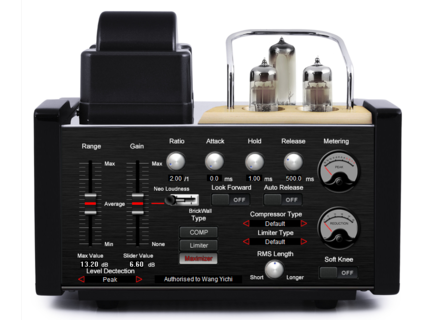 Users can combine compressors, limiters and a Maximizer within Neo Loudness. In a recording session, Neo Loudness is designed to help users better control the loudness of their recording. Neo Loudness is designed to give users more controls on the overall sound with its envelope controls in a mastering project. Loudness/Dynamic Processor features Compressors, Limiters and 2 innovative Maximizers. Envelope controls on 4 parameters (compared with others with only 2 or 3 controls) including Attack, Hold, Release and RMS length. Add-on system to add new compressors/limiters (Famous Maker) sounds in the future. Metering system gives the users "the next step" in accurate monitoring. Adjust hold knob range and set the dedault to 0.1 ms now. Add a new auto release algorithm. Fixes the switch issue on some system. Knobs now have better resolution. For more information, visit www.supremepiano.com/product/loudness.html. WOK Bassimo WOK has announced the release of Bassimo, a free bass synth VST instrument plug-in for Windows. Mathew Lane DrMS Spatial v4.0 Version 4 of the DrMS spatial processor plugin is a native 32-bit & 64-bit VST/AU/RTAS plugin for Mac OSX and Windows. Korg Polysix for Reason Korg announces the Polysix for Reason, a software version developed for Propellerhead's new Rack Extension Plugin format for Reason.